My FPR Guru pen has not yet arrived from Goodwriters but I’m expecting it this week. According to the Royal Mail tracker it is in Vancouver. And using my rewards from World Mail Panel surveys I purchased another pen from Deb at Goodwriters: a 1934 Canadian Waterman Junior with a 14ct nib! Very excited! And I also purchased a journal at Things Remembered on a shopping trip last week. Stumbled upon a beautiful journal with stone paper (ooh feels so weird!) Blog post to follow. Our adventures with Halley continue. She is on new meds and seems to be responding. She’s still having accidents but at least she is going, which is an improvement over the week before. I went to the Palliser for a lovely afternoon tea. One of my friends is retiring in May and moving to Fredericton, New Brunswick, for a year. Sweet perfection with great ladies. I had my first ever MRI this week. I was nervous as I was told I might have to lay on my back for up to an hour but actually it was only 12 minutes! It was still nerve wracking and incredibly painful but I got through it without moving. Longest 12 minutes of my life. 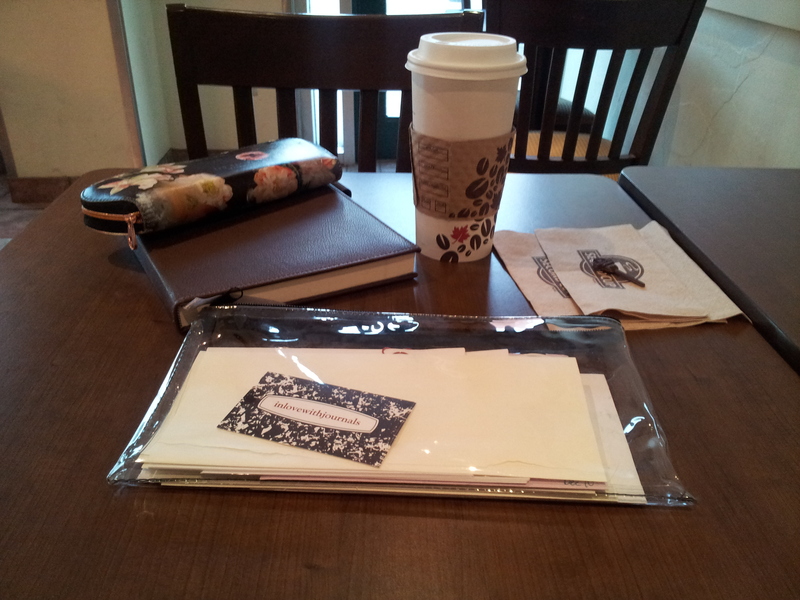 After the MRI I spent a couple of hours in the hospital coffee shop enjoying a London Fog, my journal, my pens and my portable letter-writing kit. Bliss. I hear mixed things about Stone Paper. Look forward to your review. 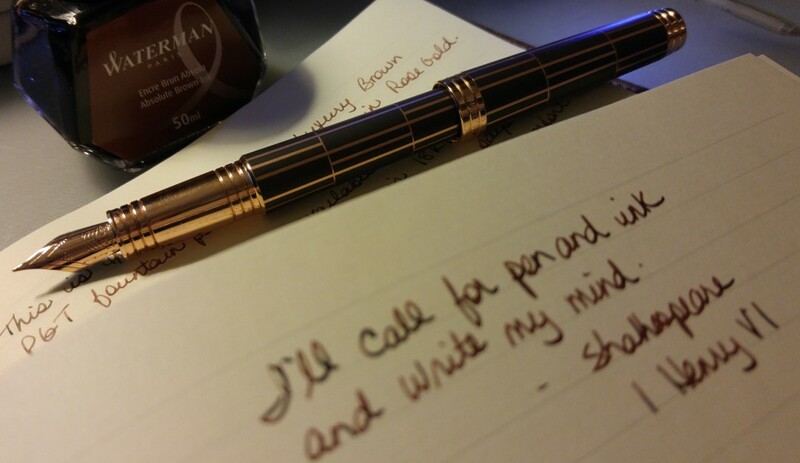 Brad/Myke from the Pen Addict Podcast aren’t fans as they say it feels weird to write on it? Glad you got through your MRI, I had my first one during my hospital stay thru the New Year. I guess since my Blood Pressure was so high and I was spinning in feel, I didn’t have the strength to worry about it. My late hubby had them and felt claustrophobic.Hope you are feeling good!! Thanks Winnie. I can understand where Brad and Myke are coming from; it does feel really weird. I will do a pen test when I review it. I did a quick fountain pen ink test and was really pleased with the result so we’ll see. As to the MRI it wasn’t as bad as I thought it was going to be. Necessary part of life. Glad you and Alan got through yours ok. I’m feeling very good these days, hope you are too.